The engine and transmission system of a joint Sino-Russian heavy-lift helicopter will be manufactured in Russia, Russian Helicopters Chief Executive Alexander Mikheyev said on the sidelines of the 2015 Dubai Airshow. The Sino-Russian heavy class helicopter will be a fundamentally new machine, although it will be based on the Mi-26, the company said in September. 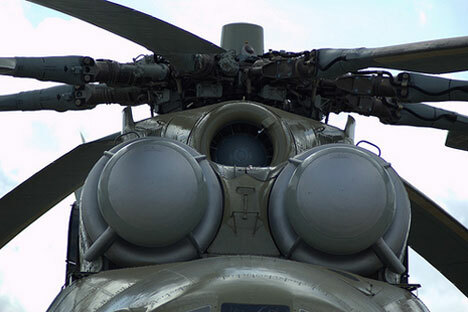 Russian Helicopters, a subsidiary of state-owned Rostec, is the only developer and manufacturer of helicopters in Russia. Founded in 2007, the company has five helicopter plants, two design bureaus, and enterprises for the production and maintenance of components, as well as an aircraft repair plant and a service company.